(NEW YORK) — The Christmas season got into full swing on Wednesday, with NBC's lighting of the famous Rockefeller Christmas tree, with the assistance of John Legend, Pentatonix, Rob Thomas, Ella Mai, and Diana Ross. Legend opened with "That is What Christmas Means to Me," a front of the Stevie Wonder tune, which is one of the tracks from Legend's A Legendary Christmas collection. He returned later to play out the work of art, "I'll Be Home for Christmas." Pentatonix played out a capella variants of "It's Beginning to Look a considerable measure Like Christmas" and "Rockin' Around the Christmas Tree," from their vacation collection, Christmas Is Here! Ella Mai conveyed a front of Donny Hathaway's "This Christmas," before returning later in the program to sing "Quiet Night." Thomas performed "Christmas in New York City," an "affection letter" to the city he composed after the awful occasions of September 11. 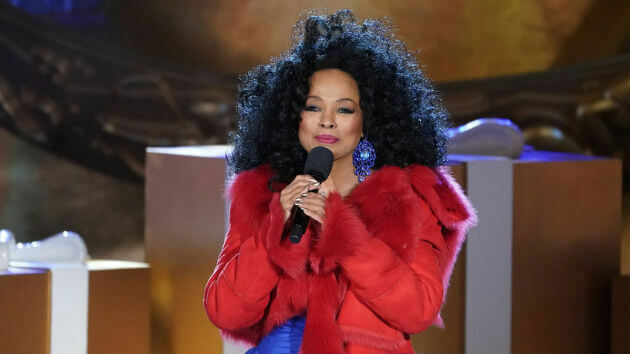 A feature of the night was the incredible Diana Ross playing out a mixture of tunes from her new accumulation, Wonderful Christmas Time, including the title track — a front of Paul McCartney's 1979 occasion tune. The night, which additionally highlighted Radio City Music Hall's high-venturing Rockettes move troupe, among others, finished up with the lighting of Rockefeller Center's 75-foot-tall tree bursting with more than 50,000 multi-shaded LEDs.